Clésia Mendes, popularly known as DJ Sunshine, is a Lisbon-born, Chester-based Portuguese female DJ, singer, and radio presenter. 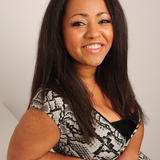 As well as appearing on ITV&apos;s X Factor, she is the former host of Wrexham radio station Calon FM African Show, where she played an eclectic mix of tracks from the world of African music, with everything from high life to kuduro. 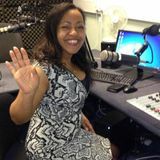 When she is not DJing she is also a talented singer who performs regularly at venues across the North West.